Yesterday evening(December 6th) Jennifer Aniston, Georgi Flores and Odeya Rush hit the red carpet for the premiere of Netflix's 'Dumplin' at the Chinese Theater in LA. Jennifer Aniston's favorite hue is black, so naturally she wore the color for the premiere. Her STELLA MCCARTNEY long sequin mini dress featured a v-neck and sheer organza cuffs. 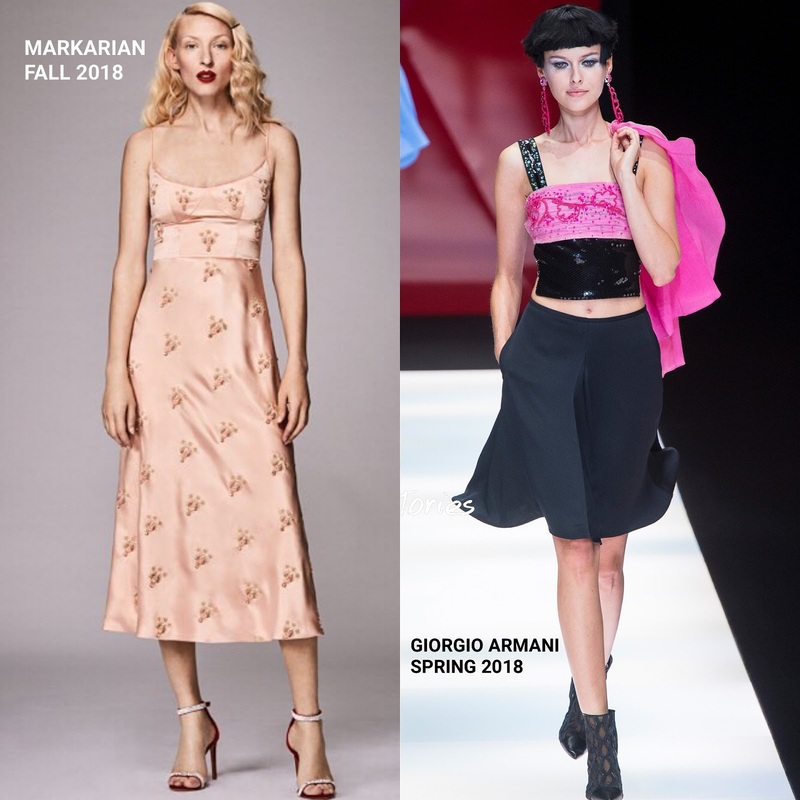 Georgie Flores wore a MARAKIAN FALL 2018 peach embroidered, midi slip dress. While I like her accessories, I wish she wore colored heels with this dress, like presented in the look book. Nonetheless, she looked great. Odeya Rush showed a little skin wearing a GIORGIO ARMANI SPRING 2018 ensemble which featured a pink & black sequin crop top and black trousers.